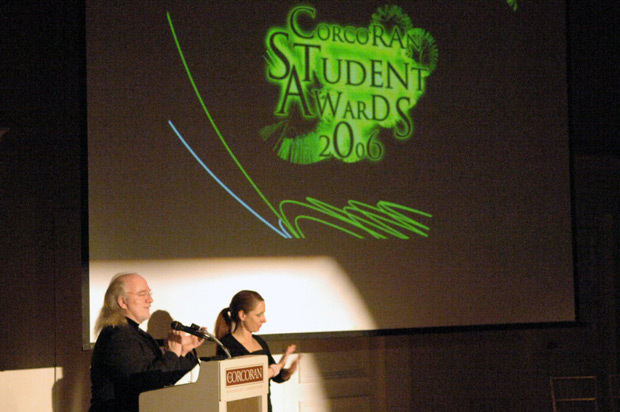 Here is John Dickson and Christina DePaul hosting the 121st Annual Corcoran Student Awards Ceremony. Wow, some people won several awards. I won the Faculty Award for Academics. "Hi Mom." Afterwards we went to the Big Hunt to discuss our awards and think about other ways we might improve ourselves.